It seems everything comes with apps these days and Belkin is jumping on the app bandwagon by supplying apps with its new Play Max routers. The Belkin applications can help you detect issues, play music or backup your data for you. 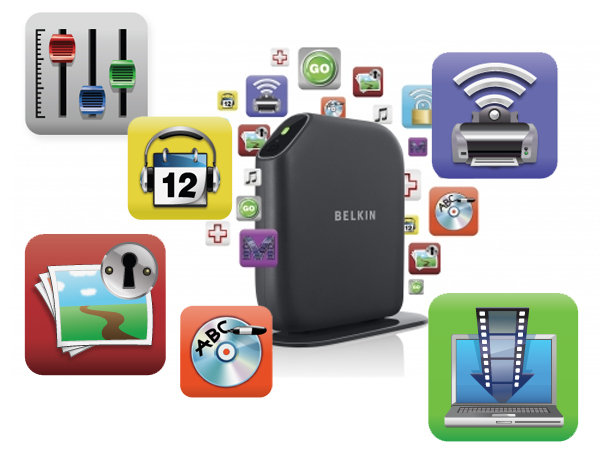 The apps are accessible through the Belkin Router Monitor an on-screen network navigator. The Memory Safe App can automatically backs up precious photos and important files to an external hard drive attached to the router. While the Self Healing App automatically detects and resolves network problems that might occur. Even running routine maintenance scans to make sure you have the clearest wireless channel and is there is a problem it will notify on screen rather than the more traditional blinking light s on the router itself.